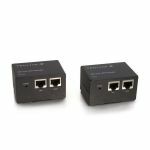 The ST121UTPHDEU HDMI Audio Video Extender over Cat5 with RS232 and IR extends an HDMI (or DVI) source signal up to 80 meters (260 feet) using a standard Cat5 or better UTP/STP cable, giving you the freedom to optimize the placement of your display without sacrificing image quality. 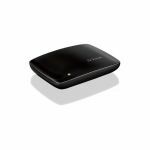 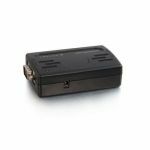 Compliance with High-Speed HDMI as well as HDCP ensures that even the latest devices will be able to pass a signal with support for full 1080p resolutions and the accompanying digital audio. 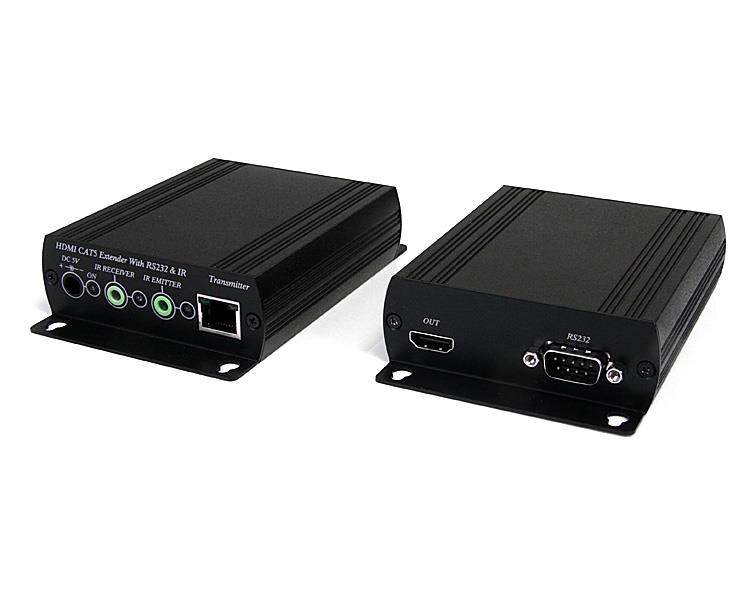 This HDMI A/V extender also features bi-directional RS232 serial and Infrared (IR) interfaces allowing you to communicate with and control your media source from either end of the connection. 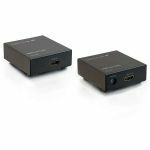 Comprised of a transmitter and receiver unit this HDMI, RS232 and IR extender kit is a complete, cost-effective solution for digital signage, trade-show demo stations or video conferencing.